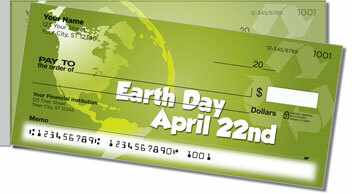 Every April, we give a little extra attention to our planet. But the Earth deserves more than just one day. 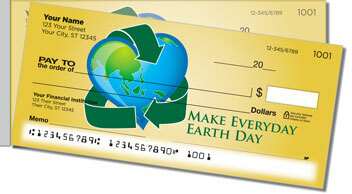 Let these checks challenge you to look for a new way to protect the environment every day. 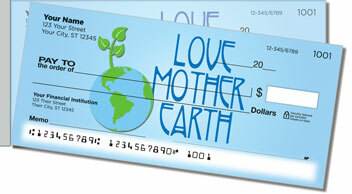 Your new checks can also help you start a conversation about conservation efforts. Encourage everyone you meet to take steps to make the world a cleaner, greener place. Plus, you'll love how easily these checks can be pulled from the pad. That's thanks to the handy, side perforation - making accidental rips much less likely than with traditional, top-tear checks. 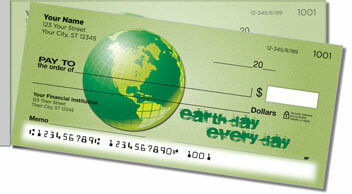 Get your own Earth Day Side Tear Checks now! 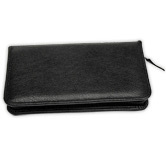 Order them with matching return address labels and a checkbook cover. Get free shipping on all three!